BGO Casino was founded in 2012 and has since then grown to become one of the prime destinations for online casino players. BGO offers a fantastic casino portfolio that combines the top games from the best casino games providers on the planet: Blue Gem Gaming, BGO Studios (BGO Entertainment), IGT (WagerWorks), Microgaming, NetEnt, NextGen Gaming and Playtech. BGO Casino has also made themselves a household name in the UK by using of well-known personalities as the brand’s ambassadors whom often appears in advertising and tv-comericials. BGO Casino’s website is supported on all devices so players will get a great online casino experience whether they play on desk/laptops, smartphones or tablet devices. The functionality of the website is very user-friendly and the website has a great, smart and appealing design in dark blue and black theme. BGO Casino is available in several languages including English, German, Finnish and Norwegian. The customer support at BGO is operating seven days a week between 08:30am and midnight GMT. They offer a live chat function which is easy to reach on the right side of the screen. But players can also contact them by phone (0330 094 8055) or e-mail. BGO Casino also offer a very detailed FAQ page where most issues that might occur are covered. BGO Casino is licensed by Alderney Gambling Control Commission and UK Gambling Commission. They are operated by BGO Entertainment Limited, a company registered in Guernsey. BGO Casino: 10 Casino Spins for new members – No Deposit Required and No Wager on Winnings! New and eligible players at BGO Casino will get a great treat of 10 no deposit casino spins when they register their account. The spins will be credited to your account once you have verified your account. You can pick and choose between four different video slot to play your spins on; Slots O’Gold, Fishin’ Frenzy, Eye of Horus and Diamond Jackpots. Extra treat: if you win on your 10 welcome spins, your winnings does NOT have any wagering requirement attached to them. Click here and join BGO Casino and get your 10 Welcome Spins – No Deposit Needed and No Wager on Winnings! 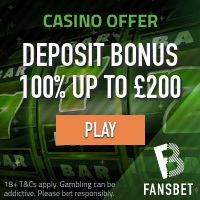 Get a First Deposit Bonus of 100% up to £200/$300! BGO Casino offer one of the best first deposit bonuses available for players that just love to play online video slots. Once you decide to make your first deposit of at least £/€/$10, you will get 100% deposit match up to £200/$300 or up to 50 free spins – No wagering requirements. The wagering requirements for this first deposit bonus is x40. Important: deposits made using NetEller or Moneybookers Skrill does NOT qualify for this first deposit bonus. Also note that the match deposit bonus must be wagered on the following video slots Inspector Gadget, Diamond Mine, Baam Boom, Eye of Horus, Fishin Frenzy, Magic Ian, Ted, King Kong Cash, Wish Upon a Jackpot, Anaconda Wild, The Great Reveal, Hold The Safe, Heartburst, Shamans Dream, Fluffy Favourites, Stampede, Call of the Valkyries, Buffalo Rising, Wild Wishes, El Jackpotto, Berry Berry Bonanza, White King II, Pumpkin Bonanza, Vampire Princess of Darkness, Kong The Eighth Wonder of the World, Maji Wilds, Luminous Life, Tiki Paradise, Hidden Valley or Dwarfs Gone Wild (“Promotion Games”). Any gameplay on other games will not count towards the wagering requirements. Up to 50 Free Spins No Wagering Requirements! BGO is also offering the option for new depositing players to claim free spins on their first deposit. To claim the free spins offer, players need to us the promotional code 50FS. Players will get 1 free spins for each £$€1 they deposit. So make a deposit of £$€50 to receive 50 free spins. The free spins can be played on one of the following Netent video slots Starburst, Finn and the Swirly Spins, Aloha! Cluster Pays, and Wild Wild West: Great Train Heist. Winnings from the free spins are credited immediately into your cash balance. Note that the minimum deposit to claim this offer is £$€10. Members of BGO Casino can enjoy a great set of player promotions. These vary from time to time and includes get away trips to destinations all over the world, Blackjack gold card hunt, casino tournaments, boost rewards and much, much more. It’s safe to say that members of BGO Casino will never have a dull moment. BGO Casino accepts all major payment methods including Visa/Mastercard/Maestro, Neteller, Moneybookers Skrill, direct bank transfer and several regional bank transfer solutions. All transactions are processed is a safe environment, secured by the latest encryption technology. BGO Casino’s games selection is provided by the top games producers in the online casino industry. These include IGT, Microgaming, NetEnt, NextGen Gaming and Playtech to name a few. These games providers are responsible for some of the most popular and successful online slot machines so you will be able to play slots like Starburst, Gonzo’s Quest, Mega Moolah, Beowulf, MegaJackpots Isle O Plenty, Siberian Storm, Sherlock Holmes, Life of Brian, Gladiator Jackpot and Ugga Bugga. Australia, USA, US/GB Virgin Islands, US Minor Outlying Territories, Spain, Sweden, Italy, France, Afghanistan, Libya, Sierra Leona, Iran, Iraq, Nigeria, Zimbabwe, Mali, Sudan, Belgium, Greece, Israel, Turkey, Switzerland, Hong Kong, Denmark, Estonia, Bulgaria, Cyprus, Macau, Phillipines, Singapore, Hungary, the UAE, Romania or Portugal.